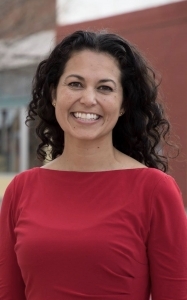 Xochitl Torres Small is an attorney and former Senate staffer, serving as the U.S. Representative from New Mexico’s 2nd congressional district. After attending college, she returned home to work on then Rep. Tom Udall’s successful run for the Senate. Following his victory, she helped to set up his southern New Mexico district office, which was responsible for serving much of the current 2nd Congressional District. As a Field Representative for Sen. Udall, Xochitl worked on issues ranging from water conservation and infrastructure development to education and health care accessibility. Inspired by her work on water for Sen. Udall, Xochitl left his office to attend law school at the University of New Mexico (UNM), where she specialized in water and natural resources. Immediately after completing her degree, she clerked for a New Mexico federal judge with one of the heaviest criminal dockets in the country. Most recently, Xochitl practiced law at Kemp Smith focusing focusing mostly on water.